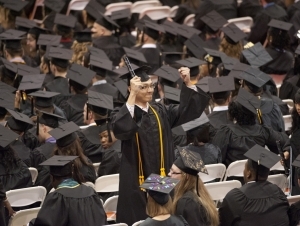 Buffalo State will honor three of its most distinguished and dedicated alumni during its 142nd Commencement, Saturday, May 17, in the Sports Arena. 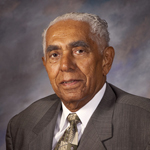 Distinguished Alumnus Awards will be granted to Frank B. Mesiah, ’61, ’69, president, Buffalo Branch NAACP; and Valerie A. Logan, ’89, information sciences thought leader and former global vice president of strategy, Information Management and Analytics Services Division, Hewlett-Packard Company. Kimberly Evering, ’94, web communications manager, Northern Virginia Community College, will receive the Young Alumnus Achievement Award. Frank Mesiah is president of the Buffalo Branch NAACP. He also serves as first vice president of the NAACP New York State Conference, of which Hazel N. Dukes is president. Mesiah will receive Buffalo State’s Distinguished Alumnus Award during the 10:00 a.m. baccalaureate ceremony. Mesiah retired as a regional administrator in the Division of Equal Opportunity Development of the New York State Department of Labor. Currently he conducts workshops on sexual harassment prevention, managing diversity, the Americans with Disabilities Act, and general equal employment opportunity/affirmative action (EEO/AA) programs. Mesiah worked for several years as a part-time instructor at Canisius College, most recently teaching a graduate course in managing diversity, and part-time with the Cornell University Online Labor Studies Program, teaching managing diversity, sexual harassment prevention, and general EEO/AA courses. Mr. Mesiah is also the host of “The NAACP Speaks” every other Thursday from 11:00 a.m. to noon on WUFO-AM 1080. In addition to his work with the local and state NAACP, his extensive community service includes membership on many boards of directors, including the Afro-American Historical Association of the Niagara Frontier, the Buffalo History Museum, the Buffalo Economic Renaissance Corporation, Health Now Inc., the Legal Aid Bureau of Buffalo, the YMCA of Greater Buffalo, and the FBI Citizens Academy Foundation. He also serves as secretary to the Black Leadership Forum and as a member of the Near East Side Community Health Task Force, Project Exile (Good Neighbors), and the Executive Committee of the Erie County Industrial Development Agency. 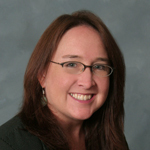 Valerie Logan has more than 23 years of experience in the areas of applied information sciences and strategies, including performance, process, large-scale program, and change management. Logan will receive Buffalo State’s Distinguished Alumnus Award during the 2:00 p.m. baccalaureate ceremony and will deliver the commencement address at the 6:00 p.m. master’s hooding and C.A.S. ceremony. Most recently, as global vice president of strategy in Hewlett-Packard Company’s Information Management and Analytics Services division, Logan was responsible for solutions and services across industries and business process domains. 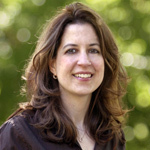 Previously, she oversaw the business intelligence services growth strategy and portfolio within HP Enterprise Services, including common methodologies, knowledge management, and incubation of new service offerings. After joining HP via its acquisition of Knightsbridge Solutions in 2007, Logan led the creation of HP’s Worldwide Information Management Consulting Practice. Her previous experience includes four years with IBM/PricewaterhouseCoopers (PwC), leading the internal programs that supported over 2,000 professionals globally; five years in consulting at PwC, leading large-scale programs for financial services clients; and five years in the telecommunications industry. Recognized as a pioneer in innovative consulting practices, she was named one of eight top women in global consulting in 2008 by Consulting Magazine. She is a natural systems thinker, able to understand and distill complex concepts and systems for a general audience. With a natural curiosity and a passion to solve problems in new ways, Ms. Logan combines a rare blend of analytical, technical, business, and organizational strengths. She is known as a friendly, fun, open, and talented professional, dedicated to simplifying the complexity of big data for real impact. She is an active member of the Dean’s Advancement Council for the School of Natural and Social Sciences and the Advisory Board for the Professional Applied and Computational Mathematics program at Buffalo State. Ms. Logan also enjoys working with youth and young adults to help them discover their unique skills and passions. She holds a bachelor of science degree in mathematics from Buffalo State and a master of science degree in applied mathematics from New Mexico State University, with a concentration in operations research. She lives in Sarasota, Florida, and spends her summers in Rochester, New York. Kimberly Evering is the web communications manager in the office of Web Services and Digital Media at Northern Virginia Community College. She is an accomplished web editor, blogger, and writer with more than 10 years of experience in digital media. Before focusing her work online, she worked as an editor and features writer in print media. 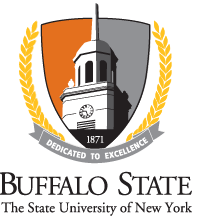 Evering will receive Buffalo State’s Young Alumnus Achievement Award during the 2:00 p.m. baccalaureate ceremony. Evering has participated in several extraordinary adventures during her vacation time. She was selected from more than 180,000 applicants worldwide as a workforce member for both the Sochi 2014 Olympic Winter Games and the Vancouver 2010 Paralympic Winter Games. In Sochi, Russia, she worked on the Olympic News Service team as a flash-quote reporter for ice hockey. Jim Handly from NBC’s Washington Bureau interviewed her for a two-part series about her work at the Olympics, and the microblog she launched to share her Olympic adventures was featured in the Moscow Times. Evering’s “Gal on the Go” blog, which documents her life experiences, was featured in Washington Woman magazine and the Bull Run Observer. She proudly serves on the alumni board of Buffalo State’s student-run radio station, WBNY-FM 91.3, managing the station’s website and Facebook page, helping plan events, and mentoring students. Evering enjoys being an active member of her community. She volunteers for Friends of Homeless Animals (FOHA), is a lead volunteer for the Monumental Sports & Entertainment Foundation (Washington Capitals Charities), and has served as a team captain for Walk MS, a major fundraiser for the National Multiple Sclerosis Society.